Ford Library welcomes our students participating in the HSM Bootcamp Program this week at Fuqua. Below we’ve listed 10 leading new book titles that are part of our Health Sector Management Collection here at the Library. Please visit us and check out any of these new titles to get a head start on managing the business of health care. 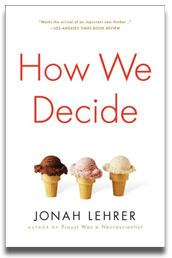 Click on a book title to see if it’s available, and to place a request in our online catalog. Christensen, Clayton M. The innovator’s prescription : a disruptive solution for health care. Berry, Leonard L. Management lessons from Mayo Clinic : inside one of the world’s most admired service organizations. Saturday, 18th July from 5am to 7am EST. Monday 20th July from 4am to 5am EST. Please note that electronic full text from these titles and other Wiley Interscience titles, may be available from other sources. 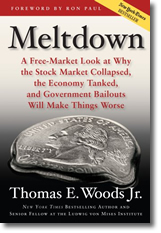 Woods, Thomas E., Jr. Meltdown: A Free-Market Look at Why the Stock Market Collapsed, the Economy Tanked, and Government Bailouts Will Make Things Worse. Regnery, 2009. What happened to the economy and what are the necessary steps restore it are complex questions. Amazingly, Thomas Woods’ has the ability to answer these questions in simple laymen’s terms. He begins with the big picture of how the economy works and then provides the two main philosophies of regulating the economy. Only reading the newspapers and watching CNN, will lead you to believe that the diagnosis is greedy Wall Street employees and real estate financers, and the treatment is an artificial stimulus. This is the Keynesian school’s perspective which believes in the marriage of economics and politics. How many movie love stories are written by former Marines? 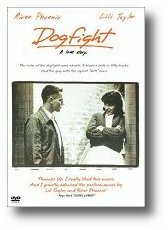 Bob Comfort wrote the screenplay for Dogfight which features River Phoenix playing Marine Eddie Birdlace. Birdlace and his buddies are out on the town in San Francisco the night before they’re due to ship out to Vietnam. They organize a callous “dogfight” at a local bar where each man puts in fifty dollars and brings the ugliest woman he can find. Birdlace picks unassuming, self-contained Rose (Lili Taylor). The scene where she finds out about the dogfight sets the film off in an unexpected direction. Nancy Savoca’s direction, Bob Comfort’s script, and the lead performances make what initially appears a run-of-the-mill narrative into something more moving and honest. The great soundtrack features a host of 1960s artists like Bob Dylan, Joan Baez, and Pete Seegar. This film had a very small release in 1991 but deserves a wider audience. The Ford Library welcomes you to Fuqua! 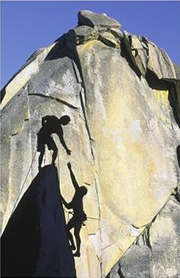 We can help you reach your peak performance at Fuqua by connecting you with key information resources. We’ve prepared a special web page to answer some questions we’ve received from incoming students regarding access to the Library’s print collection and online databases. Please feel free to contact us if you have any other questions about the Library. Congratulations, and the best of luck as you begin your MBA! 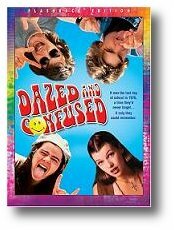 Anyone who attended a U.S. high school in the late 1970s or early 1980s should see Dazed and Confused. Even those who weren’t in school in 1976 should still see the movie. Director Richard Linklater’s day-in-the-life of a group of friends on the last day of school ranks among the best high school movies ever made. You’ll see early performances from Matthew McConaughey and Ben Affleck, and it’s great to see Affleck play a jerk rather than a square-jawed hero type. The movie has no plot to speak of, but the characters keep things interesting and the soundtrack rocks (Aerosmith, Led Zeppelin, Deep Purple, War, Steve Miller Band, etc.) Not just a 1970s nostalgia-fest, the film manages humor and introspection in equal doses. Jason London’s character Randall “Pink” Floyd offers up a perfect example with “All I’m saying is that if I ever start referring to these as the best years of my life, remind me to kill myself.” Don’t miss it. Microsoft Office 2007 Simplified by Sherry Willard Kinkoph.